Unlike previous years, the 2013 Sparkfun Autonomous Vehicle Competition course is fixed through all three runs and the dimensions are, more or less, provided. 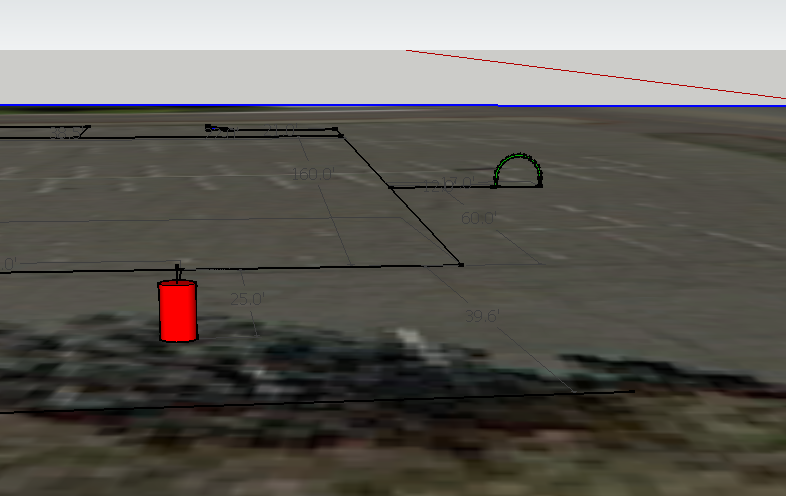 However, after drawing a SketchUp model of the course, I am taking the dimensions with a grain of salt. 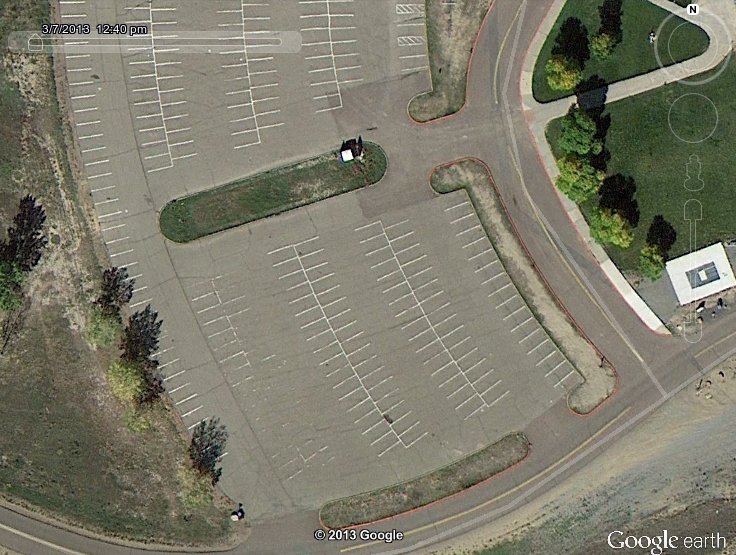 I started with a Google Earth screenshot of the area and scaled to better than 0.5% accuracy. I drew in the legs of the course, the barrels, start line, ramp, and hoop. This is what I got. 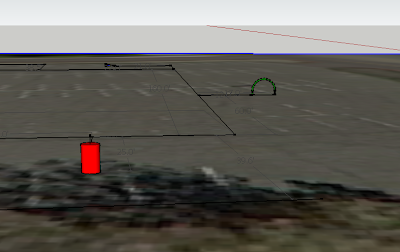 My model in SketchUp. North is not up. It's not entirely clear if the first, top leg is actually 160' but the median is about that length according to Google Earth. Also, beware that the course is not aligned to north. 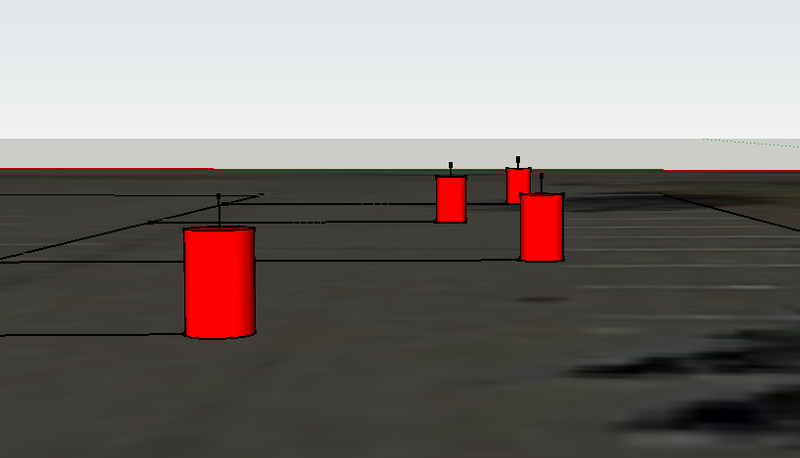 I was able to tweak the angles and lengths of the remaining 3 legs to arrive at 180', 160', and 165' respectively. In my version the distances to the curb don't match those of Sparkfun. The bottom is off by 5', the right side by 2'. I'm not sure why. 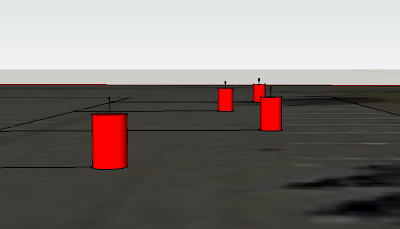 Scaling accuracy would account for only 1' in 200'. The Sparkfun drawing isn't visually accurate as you can see. 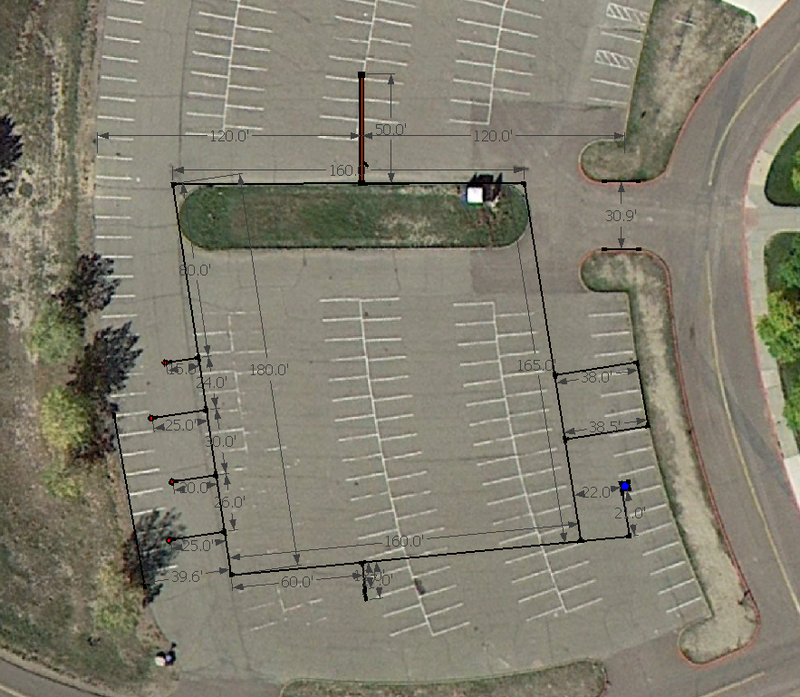 It just gives the dimensions but even then it's hard to reconstruct from the data given. 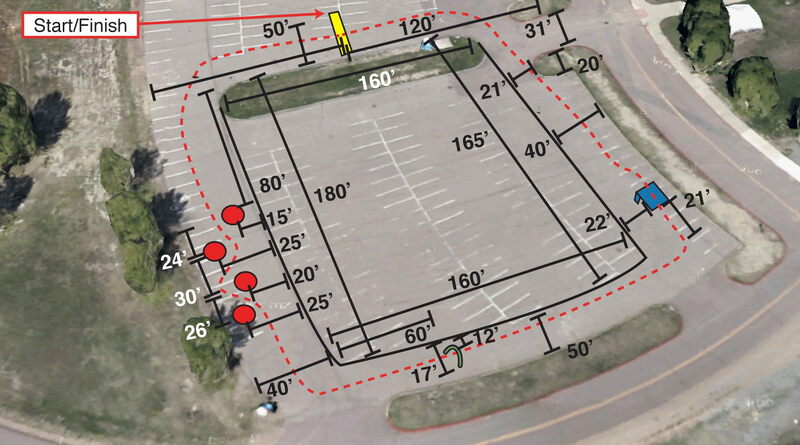 I intend to approximate the course during practice and on race day, take my own measurements and hope for the best. The ramp looks more scary. It's tiny. It's right after the 3rd turn. Your robot has to finish the jump then merge left to avoid the curb. If you tweak it or get a better result, let me know.